In this layout, VisualStat creates a two-way table for each level of the layering variable, Urban/Rural. The row variable is Gender and the column variable is Grade. It may be easier for you to compare your data in a different layout. 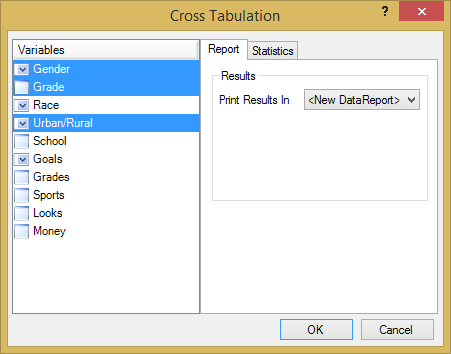 You can change your table layout by designating variables to be across rows, down columns, or as layers.